DJ’ing is about music and sound. If you do one and not the other, then something is missing. The most important aspect of our job is to pamper and indulge the harmony of human body, brain and ear. When one is incomplete, you can’t make them happy. Today, we’ll talk about the ” Sound ” part of it. I mean, the quality of sound. There are different steps for a DJ to maintain clear sound coming out of his system. High bit rate encoding of tracks, setting up the mixer levels and cable / connection combination to the PA system. Why do audio cables matter for good sound ? Let me explain. When you don’t connect your DJ controller to the PA system with a high quality cable or connection type, sound is compromised. There may be interference or humming on speakers. The reason is that the cable may be effected by power circuits which the system is connected to. 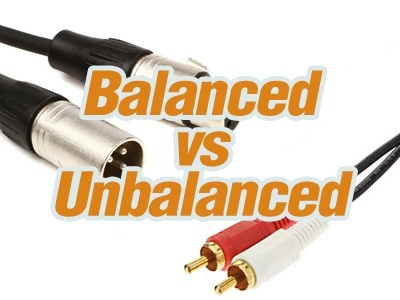 There are mainly two types of audio output on DJ controllers; balanced and unbalanced. The unbalanced one is called “RCA” and the balanced is “XLR” or “TRS”. We usually see RCA and XLR connections. An RCA cable has only two wires for sound signal. There is no ground on that line. You can easily see that there are only two conductors on both metal ends of the cable. Since there is no grounding, RCA cable also carries electrical noise along with the sound all the way out to your amplifier. Longer the cable, more loss on the audio quality as well. 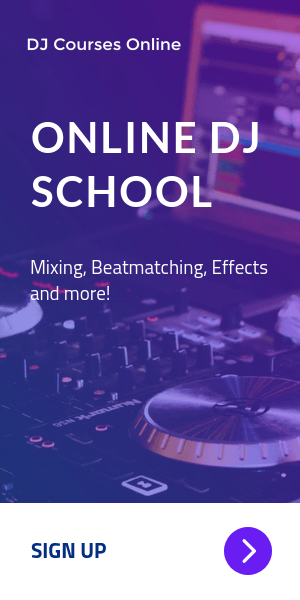 RCA connection is more common on lower-priced and beginner level DJ controllers like Numark Mixtrack Pro III or Pioneer DDJ-SB3. Now, let’s take a look at balanced audio cables. An XLR cable has three wires in it; two for audio signal and one for grounding. The ground wire plays a shield role for electrical interference so that sound is separate on the line. Three conductors match both on the cable and your DJ controller’s output port. XLR cables also reverse signal polarity which eliminates any noise on the line. Professional sound systems and speakers are always equipped with balanced connections. You’d see XLR ports almost on every single pro-grade DJ controller. For example, Pioneer DDJ-SX2, Denon MC7000, Numark NS6II. 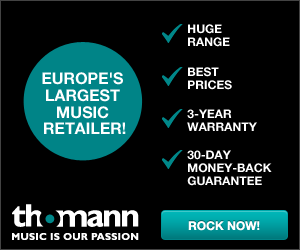 So, when deciding on a new DJ controller, always consider where and how you will use it. Beginner controllers may be affordable, but they might not be enough for your needs down the road, once you step into professional DJ’ing. Choose wisely and don’t waste your money. Nobody Is Dancing, Why ? Last updated by Murat Celikbas on March 22, 2018 .